KAPOW! picks up where Peter Arcane's POW! left off. It offers 250 inspirational quotes, proverbs and sayings which cover 25 traits of the Minor Arcana and more - Peter also covers the most popular topics of Cold Reading. 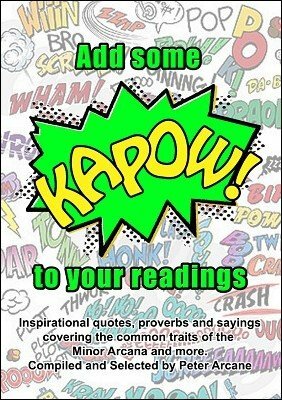 Used with care, and sprinkled lightly through your readings KAPOW! will make you a true Superhero. 1st digital edition 2014, 30 pages.